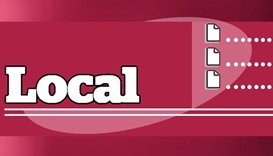 Qatar Postal Services Company (Qatar Post) has introduced more flexible options for its Business Delivery Services (BDS). 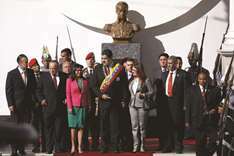 Rogue Venezuelan helicopter pilot Oscar Perez was killed in a police operation on Monday along with six other anti-government militants, the interior minister said yesterday, spurring opposition complaints of human rights violations. 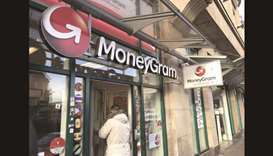 China said yesterday protectionist sentiment is rising in the United States and criticised Washington for blocking a high-profile Chinese takeover of a US financial firm on security grounds. HE the Deputy Prime Minister and Foreign Minister Sheikh Mohamed bin Abdulrahman al-Thani met Moroccan Minister of Foreign Affairs and International Co-operation Nasser Bourita in Doha yesterday. 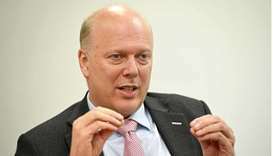 Qatar is witnessing “remarkable development towards building a fast-growing and accelerated economy”, UK Secretary of State for Transport and Member of Parliament Chris Grayling has said. His Highness the Emir Sheikh Tamim bin Hamad al-Thani attended the final of Qatar ExxonMobil Open for men which was held at Khalifa International Tennis and Squash Complex Saturday evening. 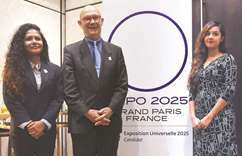 The head of France’s bid to host the 2025 World Expo held talks with Sri Lankan leaders in a bid to secure their support. 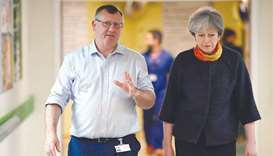 Prime Minister Theresa May yesterday apologised to tens of thousands of patients whose operations were cancelled to free up staff and beds to deal with emergency patients. Australian movie star Cate Blanchett will head the jury at this year's Cannes Film Festival on the French Riviera, its organisers said on Thursday. 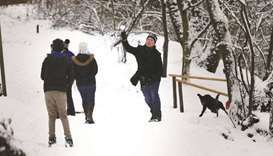 A man throws a snowball in Buxton, yesterday. Heavy snow caused travel disruption to airports and roads as the country again grappled with the impact of wintry weather. Sixty-eight Yemeni civilians were killed in two separate air raids by the Saudi-led Arab coalition in one day, the UN humanitarian Coordinator in Yemen Jamie McGoldrick said on Thursday.